Bitcoin Cash brings sound money to the world, fulfilling the original promise of Bitcoin as ‘Peer-to-Peer Electronic Cash’. Merchants and users are empowered with low fees and reliable confirmations. The future shines brightly with unrestricted growth, global adoption, permissionless innovation, and decentralized development. Bitcoin Cash has a large number of fans, a high actively community. Since Bitcoin Cash is a hard fork of Bitcoin, so most fans of Bitcoin Cash came from Bitcoin community to some extent. The official website says that Bitcoin Cash has more independent communities which are being maintained by loyal fans. In China, a lot of people thought that the interests of Bitcoin and Bitcoin Cash are highly bound, and even think that Bitcoin Cash is another format of Bitcoin. But there are at least three important forces within this community: BITMAIN, Craig Wright, and ‘Bitcoin Jesus’ Roger Ver. A more unfortunate news is that due to the development direction of Bitcoin Cash led by the founder of BITMAIN, Jihan Wu is different with the other two forces, the BCH community is currently brewing a new round of splitting, even facing the ‘a situation of tripartite confrontation’. The situation of splitting means the loss of popularity and the breakdown of consensus, often accompanied by a fall with the price, this will largely determine the future direction of BCH. The latest price of Bitcoin Cash is $525.67, we can see that the market made a strong react last two days since BITMAIN officially submitted the disclosure prospectus to the Hong Kong Stock Exchange at the night of September 26th. 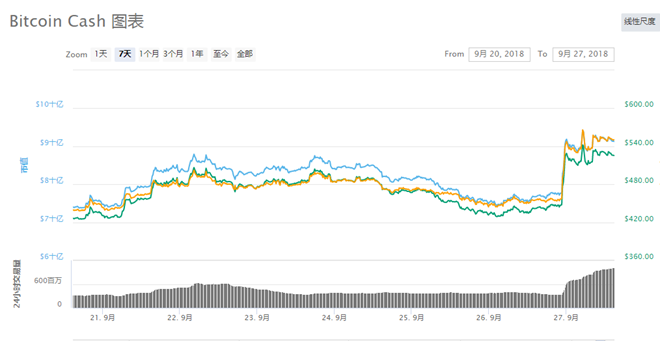 The price increased in the 24-hour period exceeded 23%, and the trading volume also increased obviously. However, its price has stabilized today, it can be seen that the market has been affected by the release of this news in a large extent. 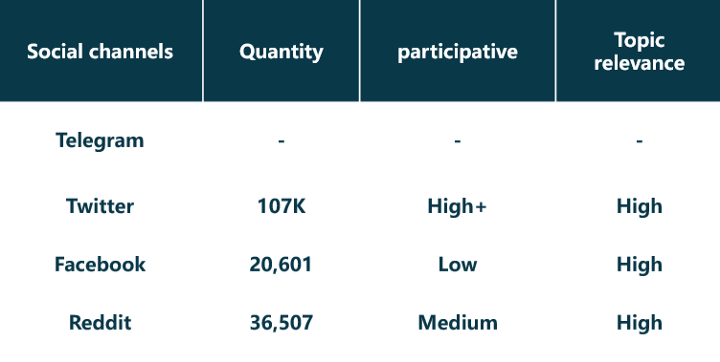 According to the data from Coinmarketcap on September 27th, Bitcoin Cash ranks the 4th in the cryptocurrency market capacity, and it has been listed on almost all cryptocurrency exchanges, the trading volume is relatively even. However, according to the financial report of BITMAIN before its IPO, BITMAIN has been holding 1.02 million Bitcoin Cash in March 2018. The financial report also shows that BITMAIN has used 67% of its cash flow in 2017 to buy Bitcoin Cash. It can be seen that BITMAIN has put a heavy bet on Bitcoin Cash, which further makes Bitcoin Cash more centralized. (We have reason to believe that BITMAIN dominates the development of Bitcoin Cash to a certain extent.) Moreover, the upcoming fork in the Bitcoin Cash community will also hit the price of BCH. 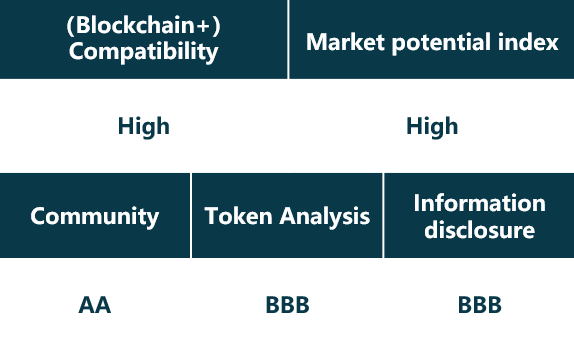 In the near term, Bitcoin Cash’s prices would face two kinds of uncertainties (BITMAIN’s IPO and the community split), and these are all events that have a greater impact on the industry. We will keep tracking. On the night of September 26th, BITMAIN officially submitted a disclosure prospectus to the Hong Kong Stock Exchange. Within 24 hours, Bitcoin Cash’s price increase was 23%. As the world’s largest cryptocurrency mining company based on ASIC chips (application-specific integrated circuit), BITMAIN’s IPOs in Hong Kong have positively on Bitcoin Cash. The impact of this is beyond doubt. In May of the same year, one of BITMAIN’s competitors, Avalon mining machine manufacturer CANAAN, went out to market. In June, EBANG INTERNATIONAL HOLDINGS also was reported that it may seek for IPO in Hong Kong. The difference between the two mining machine competitors is that CANAAN and EBANG INTERNATIONAL HOLDINGS both are chip manufacturers, and they do not involve digital currency investment too much. In addition to manufacturing mining machines, BITMAIN also dominates and re-bits. Coin cash. Because BITMAIN holds more than 1 million bitcoin cash and records it on the company’s accounts as an asset, the compliance of digital assets (how the HKEx recognizes this asset is critical) is currently in the global market. In a more sensitive position, from the perspective of the existing financial laws of Hong Kong, we are more pessimistic about the IPO of BITMAIN at this moment, and we also hold the same attitude towards the next step of BCH. According to the disclosure of the prospectus, BITMAINs revenue mainly comes from the four major businesses of mining machine sales, mine pool transportation, mine service and self-operated mining. Among them, the mining machine sales have been the pillar business of the Bit China, and from 78.6% in 2015 to 94.3% at the end of June 2018, BITMAIN is increasingly dependent on the sales of mining machines, but the gross profit margin of mining machines is From 58.4% in 2015 to 35.1% in the half of 2018. According to market conditions, the price of the S9i mining machine marketed by BITMAIN in May fell sharply. With the arrival of the bear market, the backlog of inventory is becoming more and more serious, and if the mine does not go to stock in time, it will continue to reduce the price of BITMAIN. In the report, in 2017 and 2018, the significant increase in the inventory of inventories confirmed this problem to a certain extent (even if its inventory has been impaired). On the other hand, the concentration of the main business and the single is bound to make potential investors and supporters worry about BITMAIN’s sustainable profitability and risk resistance. According to the prospectus, cryptocurrency assets held in the first half of 2018 totaled $890 million, accounting for 28% of total assets. The currencies held included BTC, Bitcoin Cash, ETH, LTC and DASH. From the existing accounting standards, cryptocurrency income cannot be included in the operating cash flow, and can only be included in the cash flow from investment activities. The source of cryptocurrency assets of BITMAIN includes mining machine sales, self-operated mining and mining dividends. Among them, mining machine sales are the main business activities, but the prospectus does not disclose the mining machine and the corresponding currency. Fair value, and whether the cash flow from investing activities is deducted from the cost of sales, we do not know what kind of accounting treatment has been carried out. As an asset that accounts for nearly one-third of the assets, whether such an account can satisfy the HKEx, and what attitude the HKEx will take, we will keep our eyes on! BITMAIN is unlikely to cash in a large amount of Bitcoin Cash in a short period of time, because the Bitcoin Cash on the trading platform is not liquidity enough to absorb the amount of Bitcoin Cash held by BITMAIN (they still holding about 700,000 Bitcoin Cash now). And Bitcoin Cash has no large-scale OTC market (it is insignificant compared to BTC’s OTC trading market), so BITMAIN’s position on BCH is more like a time bomb. We believe that the IPO of BITMAIN is a short-term positive for BCH, it is also a milestone for BITMAIN and even global blockchain companies. However, given the market’s coldness, we will not evaluate this too optimistically. We would consider it being positive unless the progress of the BITMAIN IPO in Hong Kong turns out to be smooth or the consensus of the community being broken. HKEx, BitMain Technologies Holding Company, http://www.hkexnews.hk/app/SEHK/2018/2018092406/Documents/SEHK201809260017.pdf, 2018.